Girls can be mean. There were times in primary school when I’d be away for a day or two and when I returned the whole social landscape had changed – girls who were your friend one day, weren’t the next; others were suddenly ‘cool’ and so on. There is rafts of literature about how to manage the unique brand of bullying that girls tend to dish out so I won’t even attempt to summarise what the experts say. Instead, I’ll tell you about the story of Coco, which is a subtle, even subliminal way to tell your daughter that it is okay – and in fact great – to be different. 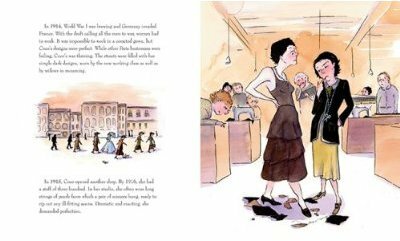 Different Like Coco by Elizabeth Williams is a picture book which tells the story of Coco Chanel. Chanel was born poor, grew up in an orphanage, was initially scorned by society women and ultimately succeeded by maintaining her unique style (quite different to the then fashion of the day) and because of her superior talents as a tailor and designer. Simple ink and watercolour illustrations pepper the text which is longer than the average picture book, making Different Like Coco well suited to children aged six and over. There are elegant decorative touches throughout – some of Chanel’s bon mots are used on the inside jacket (such as “How many cares one loses when one decides not to be something but to be someone”) and there are small sketches of details peculiar to Chanel such as the fact that she kept her dressmaking scissors attached to a long string of pearls around her neck. Matthews deftly covers the decades of Chanel’s life with the right amount of detail and the drawings convey her strong personality. 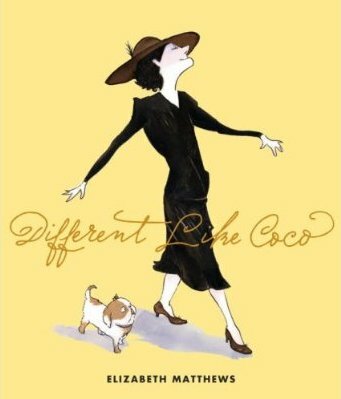 Different Like Coco is available from Fishpond for $21.97.